Udaipur Event Management built our national reputation for memorable, safe and successful turnkey corporate events by designing and delivering world-class company picnics. While our expertise extends much further today, exceptional company picnics are still our signature. Udaipur Event Management creates customized company picnics for companies all over the country, and our project managers and event managers go anywhere and do anything required to make each one absolutely perfect. Why would you go anywhere else? After all, Udaipur Event Management takes care of everything. Your professional project manager will find and prepare the best company picnic site, secure all necessary permits and insurances, designate a rain date, design a delicious company picnic menu, facilitate event promotion and registration, stage engaging and age-appropriate entertainment options and much more. When the big day arrives, your dedicated, detail-oriented event manager will be on-site to oversee the day’s logistics, staffing, activities and cleanup. All you need to do is enjoy. Udaipur Event Management know you only get one chance to get your company picnic right. With our entire experienced staff standing behind you, you will. Why should you choose a Compass Rose company picnic? From old-fashioned classic carnivals to contemporary food festivals, corporate picnics are an ideal way to entertain large groups outdoors. And when you choose to create a private, on-site company picnic with Udaipur Event Management, your company—and not a local amusement park or stadium—gets all the credit for everyone’s good time. Celebrates your company’s culture and can make your company’s campus the site of so many fun memories. 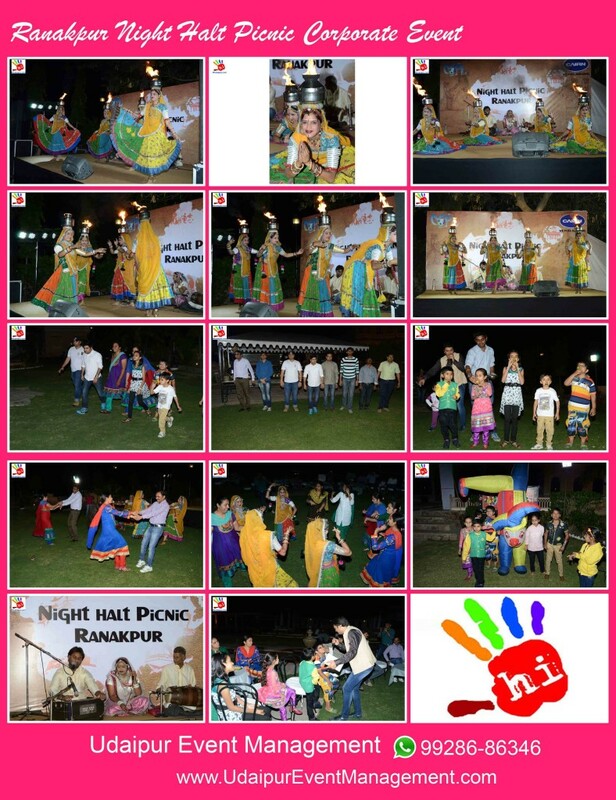 How can Udaipur Event Management customize your company picnic? At Udaipur Event Management, we never forget the most important element of a successful company picnic is you. Each one of our company picnics is a unique and unforgettable celebration of the company that commissioned it. Capture the company picnic in photos and video for internal or external marketing, guest mementos or company archives.